Complete your everyday routines in the knowledge that you’re safe and have support with Millercare’s range of toilet frames. 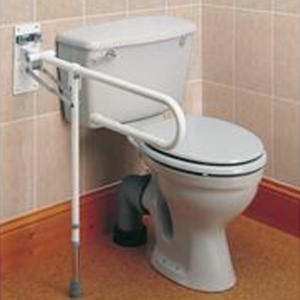 With exceptional quality, these products are an inexpensive and effective way to improve the safety of the elderly and disabled users when they use the toilet. Robust and durable, these frames make using the toilet not only a safer but more pleasant experience. 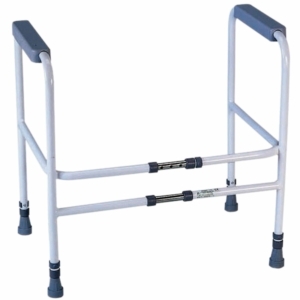 They are easy to install and use and can easily be moved and cleaned, as well as providing comprehensive support whilst using and getting onto and from the toilet. High-quality and outstanding value for the price, with one frame priced as little as £29.90, there’s a frame for every budget. 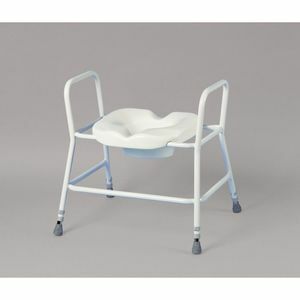 Shop Millercare’s selection of hassle-free toileting aids below. Millercare offers a variety of toilet frames that are perfect to aid in helping to ease the strain of toilet use and give back some independence to the elderly and disabled. Using a frame is an enormously easy way of making potentially perilous slips and falls much less likely. They are designed with comfort and safety in mind. Plus they can easily be moved and cleaned too. 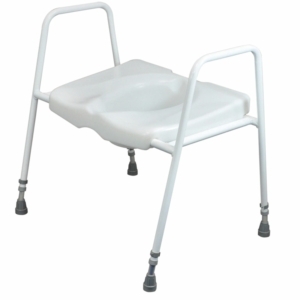 The toilet surround frame is designed to fit around a toilet giving a safe hand-hold on either side, whilst those with seats included allow the user to adjust the height for comfortable sitting and transfer. Those designs with built-in moulded seats are contoured and have a partial cut-away to facilitate personal hygiene. 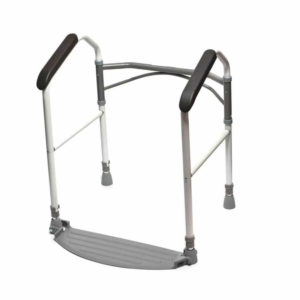 Also on offer is the Bariatric Homecraft toilet frame which has been designed for the larger user, proving that Millercare caters for everyone’s needs and wants. A selection of products can be fitted with screw-down feet for a more permanent fixing if that is what you need, however, most are standard fitted with non-slip rubber feet. Some frames even feature ergonomic grip handles to make using them an easier and more pleasant experience. As well as this, many designs are width adjustable, using a pin clip system, allowing the frame to be completely assembled or disassembled without tools. When it comes to the safety and design with these fixtures, it’s important to note that if the user pushes down more heavily on an armrest through one arm than the other when standing it can tip. If this is the case, it’s vital that the surrounding frame is fixed to the floor to prevent tipping. It’s important to note that you will require permission from a landlord or housing association to install this type of equipment if you live in a rented property. You should also remove any loose mats, like toilet pedestal mats, from around the toilet as these can cause the user to trip. 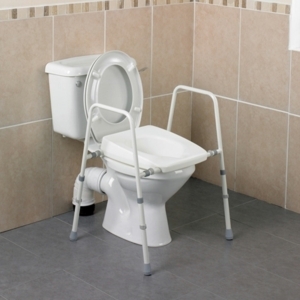 Millercare’s range of toilet frames is designed to provide stability when using the toilet giving support for when sitting and rising. With strong and sturdy designs you can rest easy knowing that you can use the toilet with ease and stability thanks to these products and provide independence to those who need it.